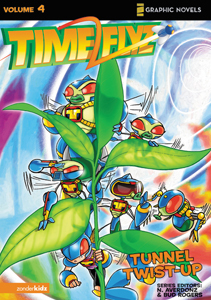 Joined by a Timefly from the future, Laurel and her friends are trapped in time! Featuring Gregor Mendel, one of the earliest geneticists, they must figure out how to continue their chase to stop Darchon . . . but after losing a team member, they can’t time travel.